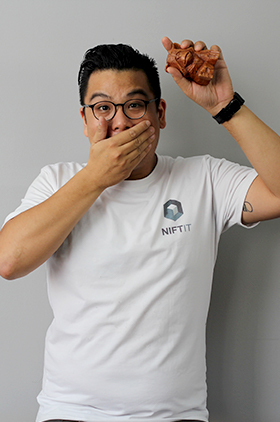 NIFTIT is a development and design agency in New York, Vietnam & Hong Kong dedicated to empowering businesses of all sizes and non-profit organizations through nifty solutions. Since its inception in 2013, NIFTIT has been governed by its core values: quality, innovation, value creation, and talent. NIFTIT is experienced in working with non-profits, and it is our goal to deliver smart solutions that meet and exceed all of your business needs. Our team develops customized solutions according to the best business practices in the industry. We are a group of individuals who have come together from seven different countries to create a team that is passionate about bringing the newest and best in the IT world to our clients. While our goal in the office is unity and a shared focus, our interests outside of work could not be more diverse. 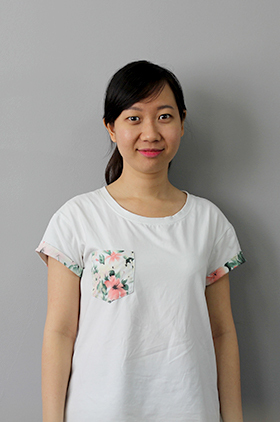 Ngoc Anh (or Anh, as she’s called around the office) is a recent graduate of Foreign Trade University where she majored in international business. 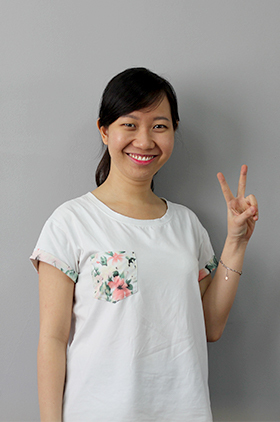 Originally from where the Saigonese call "Bac Ky", Anh has brought her talent for multi-tasking to NIFTIT where the team is as impressed by her talents around the office as they are by her amazing stories. 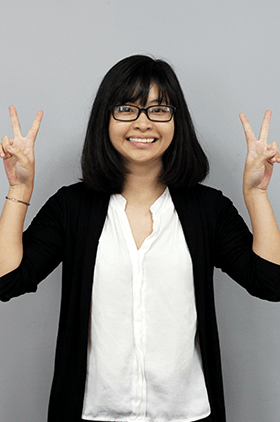 Currently a junior marketing executive, Anh was everything from a copywriter to an account executive to a Workaway-er while on a six month backpacking excursion before coming to HCMC. She’s an avid reader, but we don’t think there are many tales out there that can beat hers! 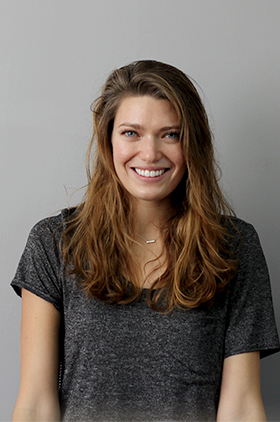 A graduate of Gonzaga University and a current resident of Washington State, Courtney contributes her communication and sales prowess to NIFTIT's global team. Helping people make strong and valuable interpersonal connections is a passion of hers, and one that she utilizes fully with each project she manages. You'll find her devouring all gummy candy in sight to keep her PM powers at their strongest. 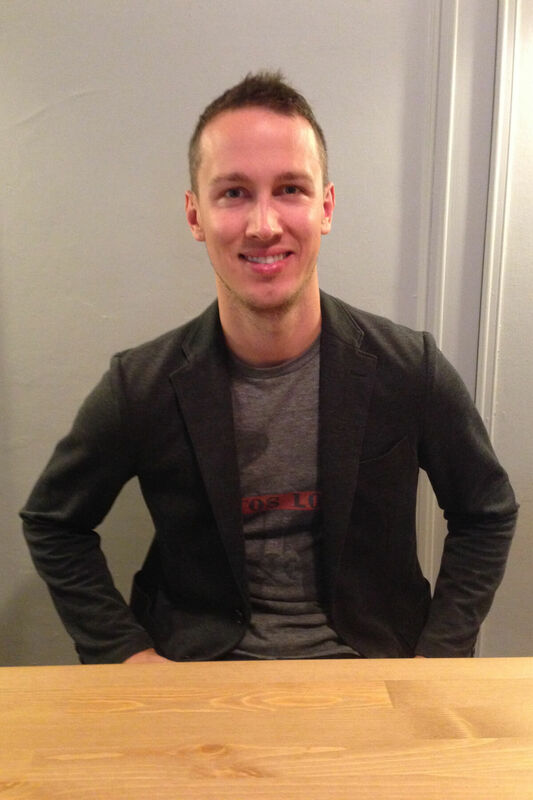 Dom is NIFTIT’s passionate and talented Chief Operations Officer. 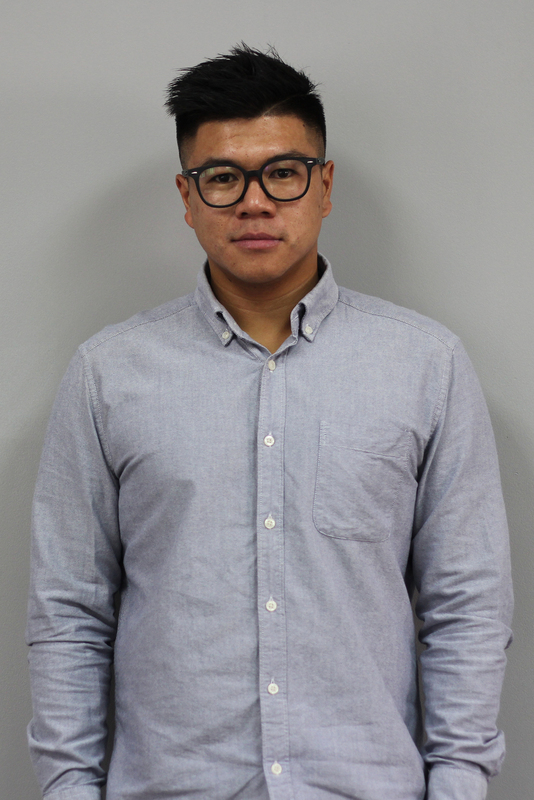 Recently settled in NY from Washington State, Dom comes with years of field experience in front- and back-end development across platforms such as MVC, ASP.net, SharePoint, and iOS development. Moreover, his expertise as a SharePoint Technologies Consultant has led to numerous successful projects for Fortune 500 companies. 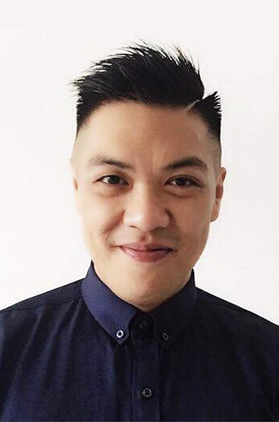 Fluent in French, Vietnamese, and English (and almost Dutch), Hung uses his impressive understanding of people, cultures, and languages to both plan events and assist with marketing campaigns around the world. Joining the team from Brussels, Belgium, where he received his master’s in corporate management, he truly enjoys to travel; in fact, you may see him making his way around the world with only his backpack and his bicycle someday! He’s a jokester in and out of the office (just ask his little brother! 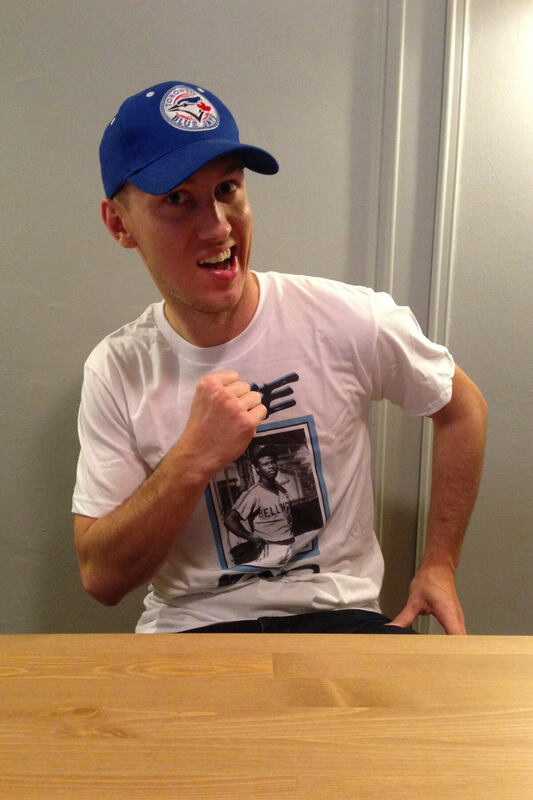 ), but you can always count on this NIFTer to put his all into a project and fully support his team. 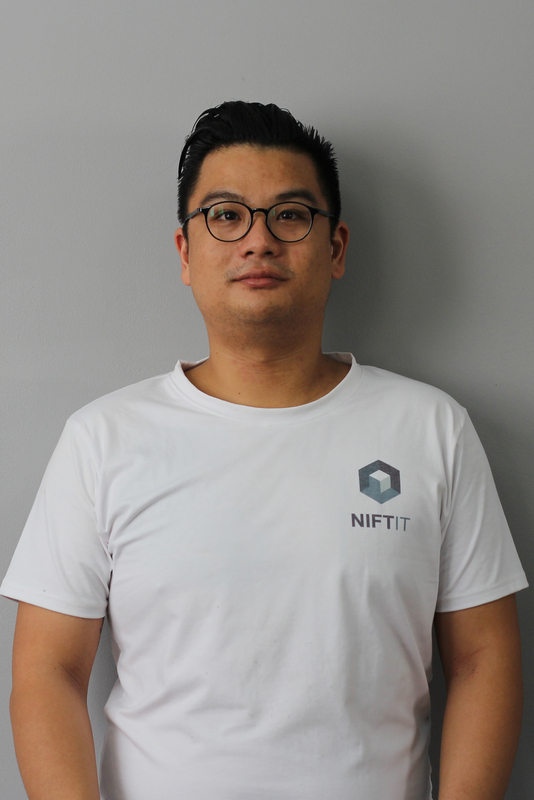 CEO and co-founder of NIFTIT, Khoa takes pride in empowering users, providing the best IT services and products in the industry, and working with NIFTIT’s team of superstars! 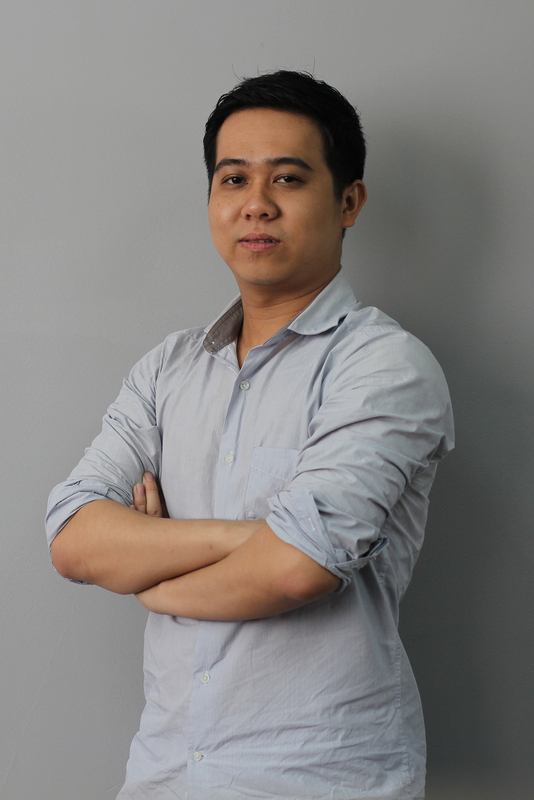 Originally from France, Khoa has over nine years of web development experience and a proven track record of leading IT teams to successful project completion. 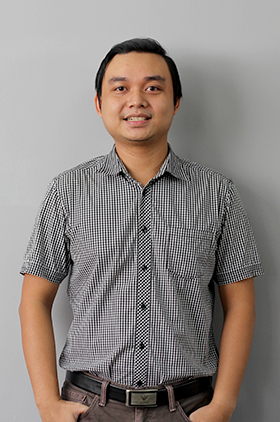 He is also a Microsoft Certified Professional (MCP) in SharePoint Technologies and a frequent technical blogger. 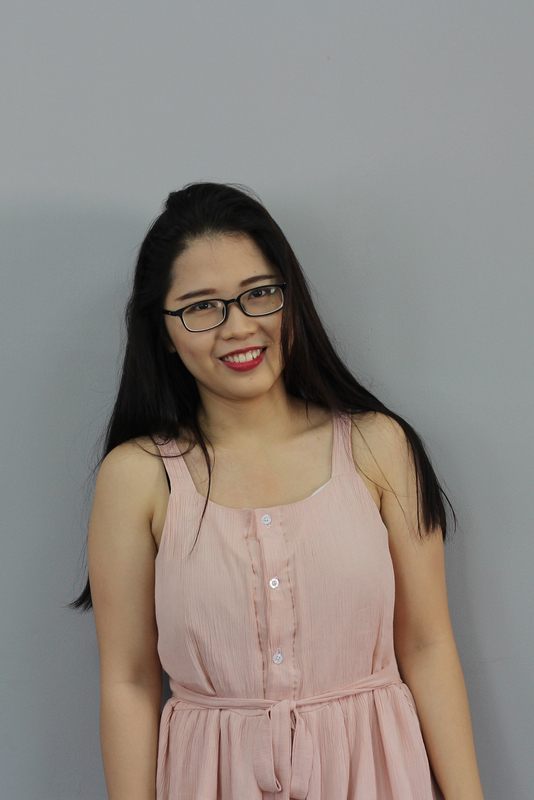 A graduate of The University of Science, this Ho Chi Minh City native is an ace front-end developer on the team. 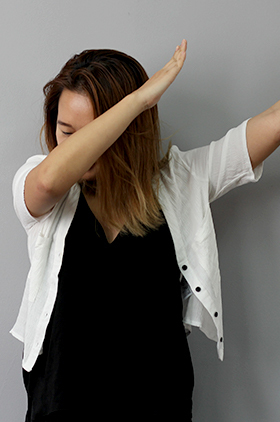 A swimmer in her spare time, Linh brings that same energy and focus to the office – whether it be to tackle the project at hand or to show-up the rest of the NIFTers at a game of foosball. If you’re ever in need of a smile, get red in the face with this NIFTer while laughing along to her favorite game shows. A “self-made man” of many interests, Ly fills several rolls for the NIFTIT team. 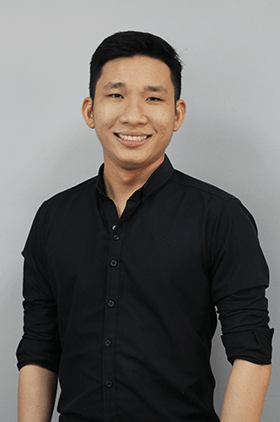 A developer first and foremost, this French-native devours code just as quickly as he does the many delicious dishes he creates and serves during his downtime in Ho Chi Minh City. 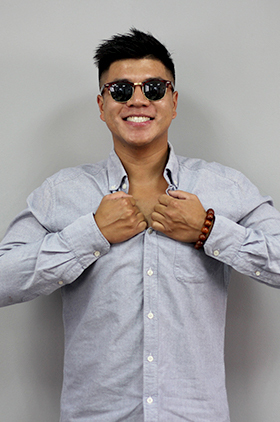 Ly may not have a favorite sports team, but he’s no stranger to competition; challenge this guy with a coding task, an eating contest, or a game of bowling to see what we mean! 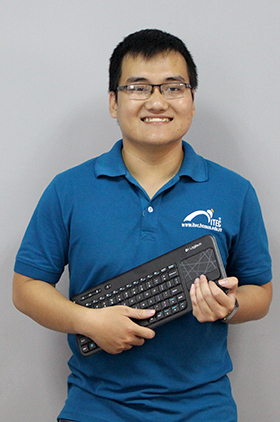 A native Saigonese graduated from the Ho Chi Minh City University of Science, Nam is a young expert in Angular and C# development. 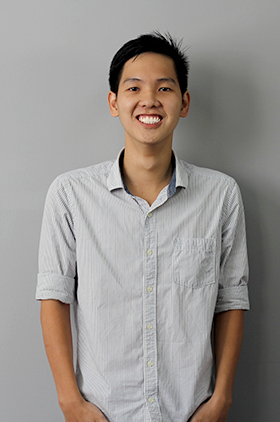 Nam's loves for football is as much as the time he spends coding. 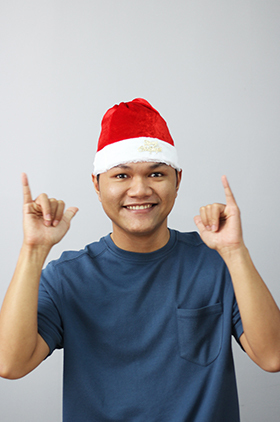 When he isn't contributing his talents at NIFTIT, you can find him outside, enjoy football games with a cup of strong Vietnamese coffee right on his hand. The smoothest voice on the NIFTIT roster, Phi Lac, our Chief Technology Officer, grew up on France’s coastline and studied IT in its capital city. 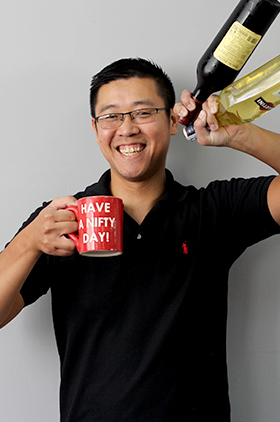 A connoisseur of fine whiskey and video games, he’s just as crafty in the office; with over five years of experience with multinational companies, Phi-Lac helps NIFTIT navigate the ups and downs of running a global business. 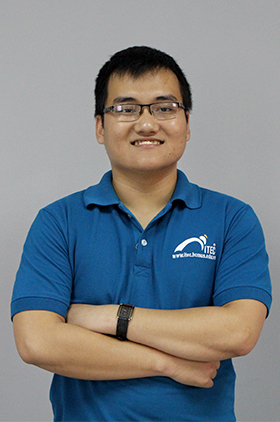 He boasts a strong background in Cloud Computing and virtualization, and he has also worked with both Windows and Linux environments, making him polyvalent. 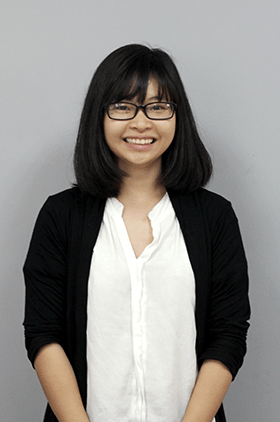 A graduate of the Vietnam RMIT University, this Saigonese is a talented young UI/UX designer on the team. Quan loves both drawing a reading comics. 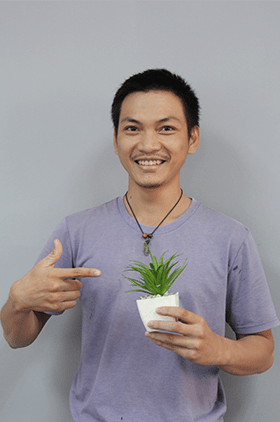 He combines his hobby and passion into colorful designs for each of his products at NIFTIT. 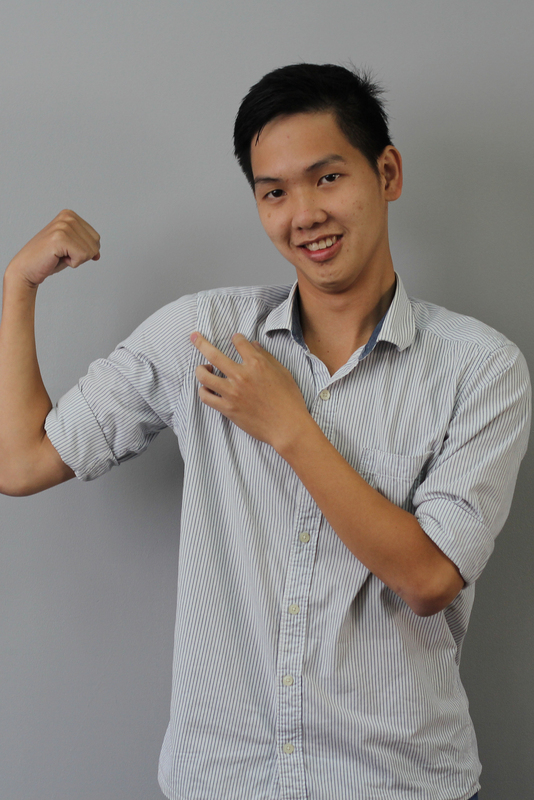 If you want to find a partner who understand about movies, Quan is a great choice! He is a crazy fan of action and sci-fi series. 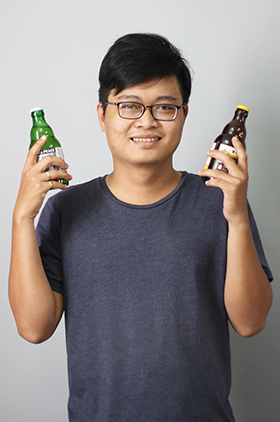 A student at ITEC studying international education, Quan juggles many roles in his day-to-day life, but NIFTIT knows him as a talented web developer and as the resident crusher of Red Bull in the office. Ask him about his comic book character nickname for a taste of this NIFTER’s sense of humor, imagination, and impressive knowledge of thriller literature from manga to Sherlock Holmes - and everything in between. Sang is a true developer at heart. 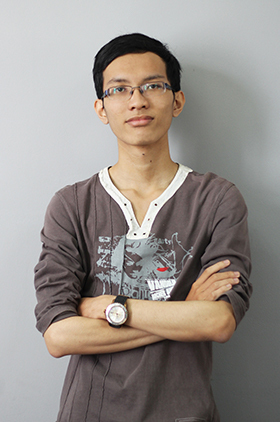 His curiosity for all things tech brought him from Ho Chi Minh’s University of Science to NIFTIT, where he tinkers around with HTML, CSS, JS, Java, and SQL. 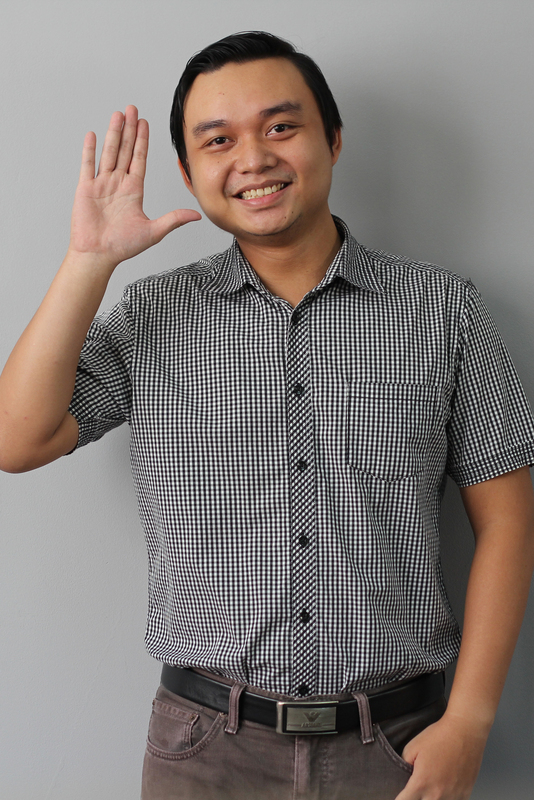 He’s a meticulous organizer, which benefits his efforts in expanding his experience with software testing. 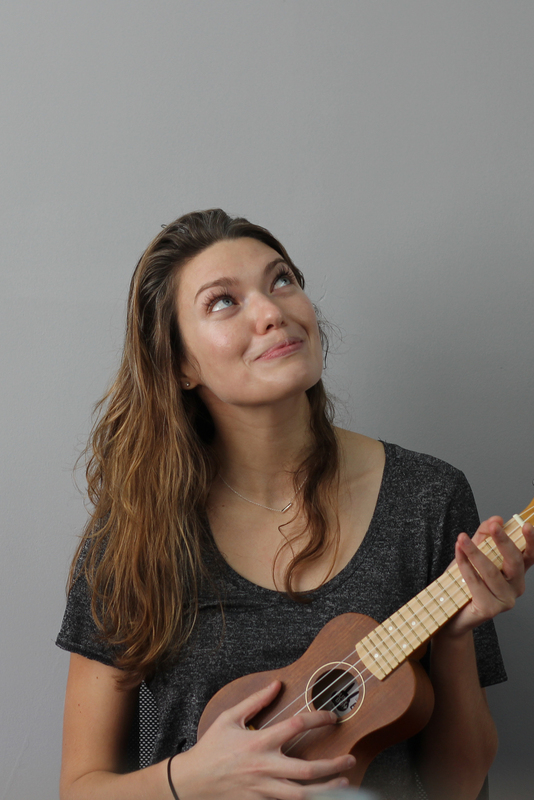 He’s a traveler at heart, but his heart belongs to his family; he’s the guy you’ll see smiling and listening to music on a walk, so do yourself a favor and smile right back at this talented NIFTer. 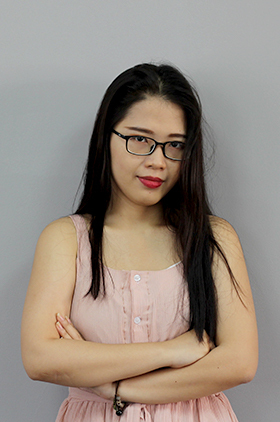 A graduate of the University of Science, Thuan brings major HTML, CSS, Js, Angular JS, Bootstrap framework knowledge to the team. 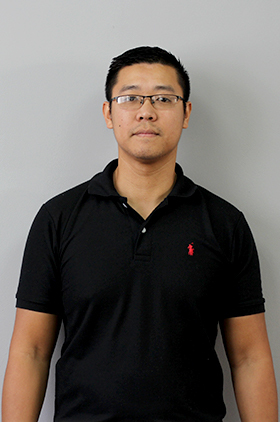 Thuan is an interesting guy who loves both playing Chinese chess and watching football just as much as spending time coding with some good tunes. 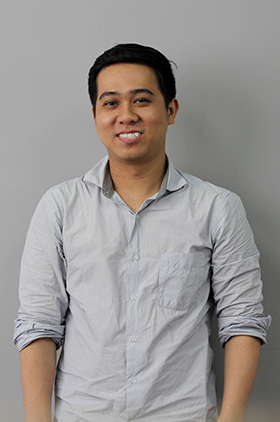 When he isn't contributing his talents to the developing team, Thuan is also a redoubtable bowling and billiards player of the company. Though her interests were initially in marketing management, Tram was quickly drawn to the creative outlet offered to her by the world of design. 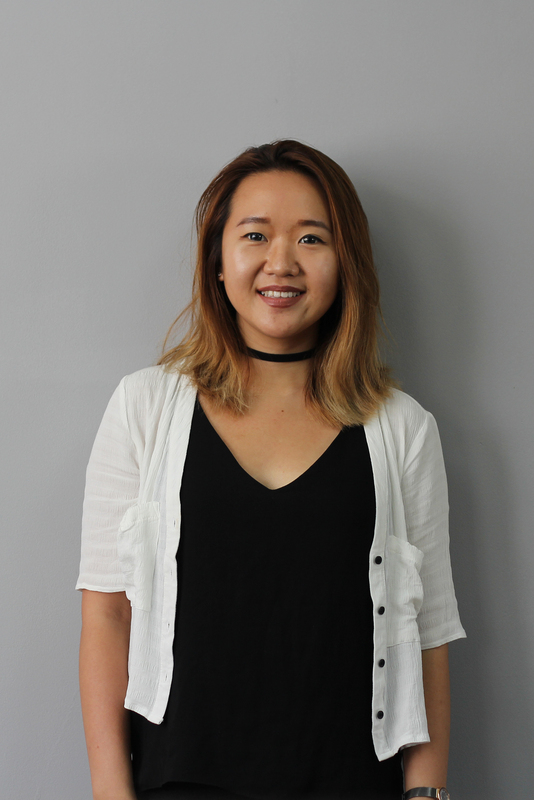 She has spent the past two years honing her skills through determination and self-study, and she continues to grow as a designer by working to master the newest techniques. Professional goals aside, Tram works to better herself and the world around her through her charity group, the ASM Project. Whether it be through her creative work or through her philanthropy, this NIFTer has a talent for bringing beauty to the world around her. 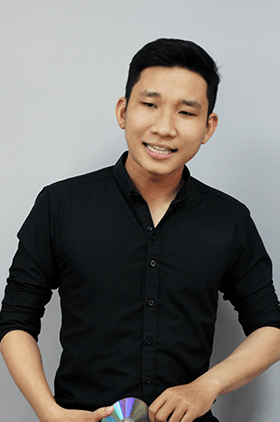 Hailing from Kien Giang, Vietnam, the team can always count on Tuan to bring his charm and wit (and true talent, of course) to collaborative projects. 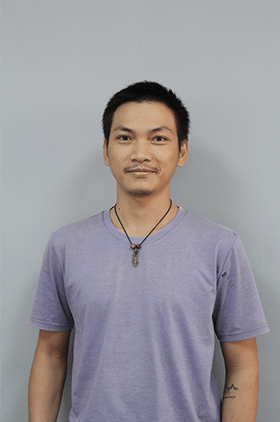 Skilled in both SharePoint and .NET, he brings two years of experience to the company and is expanding his knowledge by continuing his studies at HUTECH. An avid soccer player, you can find him on the field when taking a break from his busy schedule. 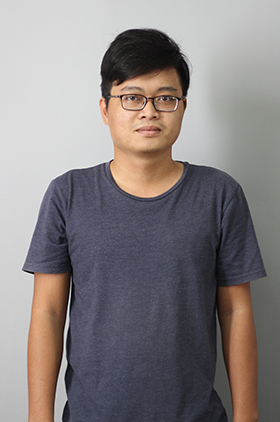 Tuan is unique in the design world; although he studied math at HCMC University of Science, he is most passionate about visual communication design and has gained work experience on both the agency (Dentsu Vietnam) and client (ERC International) sides as a graphic designer. 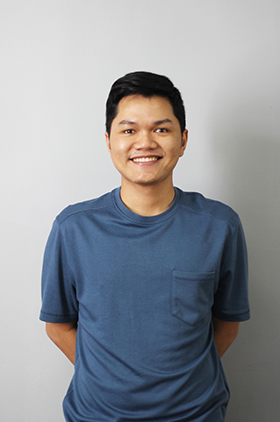 Using his extensive skills with Adobe Creative software, Tuan has taken on the role of a UI/UX designer at NIFTIT where he is currently challenging himself to further expand his range of expertise. "I'm always trying to push myself to the limit to see what I can do," Tuan says, which is why you can find him outside of office hours hiking and climbing; if you are looking for an inspirational partner to help you overcome any mountains in your path - literal or figurative - Tuan is a great choice! We are a group of passionate SharePoint developers who are dedicated to facilitating conversations about various topics related to SharePoint development. What began as a SharePoint user group in Brooklyn has now expanded into Vietnam where our team there has been welcomed by an amazing SharePoint community. We have since established a Vietnam SharePoint User Group to help foster this network of talented individuals; VNSPUG is a free monthly meeting during which SharePoint professionals present on and discuss various topics related to SharePoint development. 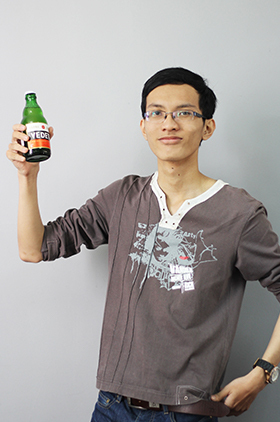 NIFTIT also works closely with the entrepreneurs of Ho Chi Minh City through Young Entrepreneurs Saigon (YES). Created in March of 2015, this organization further connects professionals and those interested in networking in the HCMC area. If you are interested in speaking at, attending, or sponsoring an event, please connect with us via the Contact section. We would love to hear from you! Our work with non-profits is not limited to the office; NIFTIT is proud to support the organizations its team holds dear through a philanthropic initiative we call GIFTIT. Launched in March 2014, GIFTIT is a quarterly philanthropy program initiated by NIFTIT members with the humble purpose of celebrating and supporting the work of the amazing non-profit organizations in our diverse local communities. GIFTIT was born out of the desire to positively impact the cities we call home and the lives of our fellow neighbors.